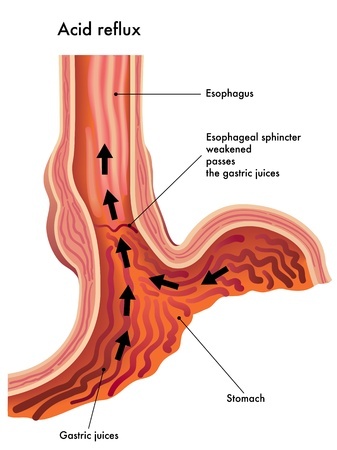 Gastroesophageal reflux disease, also known as acid reflux disease, often responds well to dietary modification, specifically a wheat/gluten and cow's milk free diet (see articles below). On the other hand, there are some evidence-based palliative approaches that do not rely on the chemical class of drugs known as acid blockers, and which include proton pump inhibitors and histamine receptor antagonists, both of which have a wide range of underreported adverse health effects. Below you will find described several dozen natural substances, including water, that have clinically proven therapeutic effects in addressing the condition.